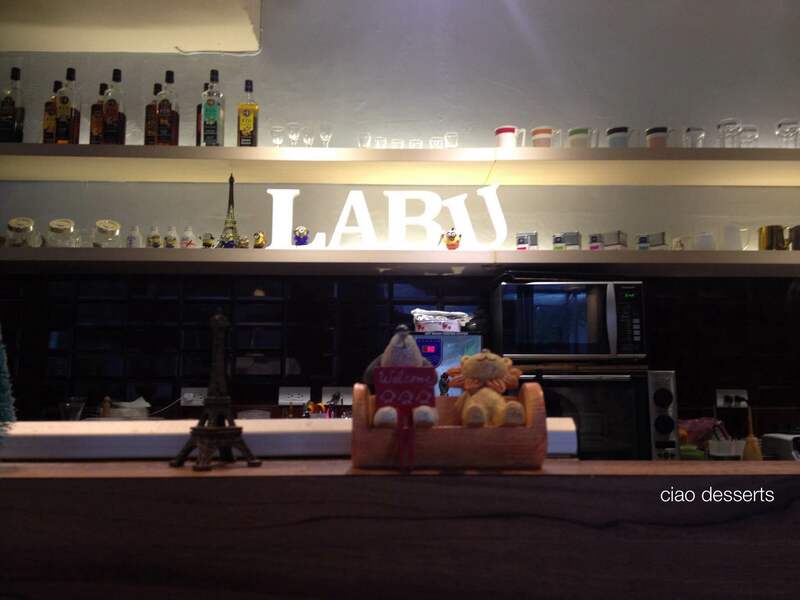 One of my standby favorite cafes in Taipei is Labu Cafe. (Labu the phonetic pronunciation for the Japanese word “love.”) It’s a place where I really feel comfortable either going on my own and getting some reading or work done, or taking a friend for a leisurely chat and cup of coffee. My most recent visit was during an afternoon torrential rainstorm. (Side note: we are in the middle of typhoon season and the weather goes from blazing hot sun, to overcast and pouring down sheets of rain in the matter of minutes). 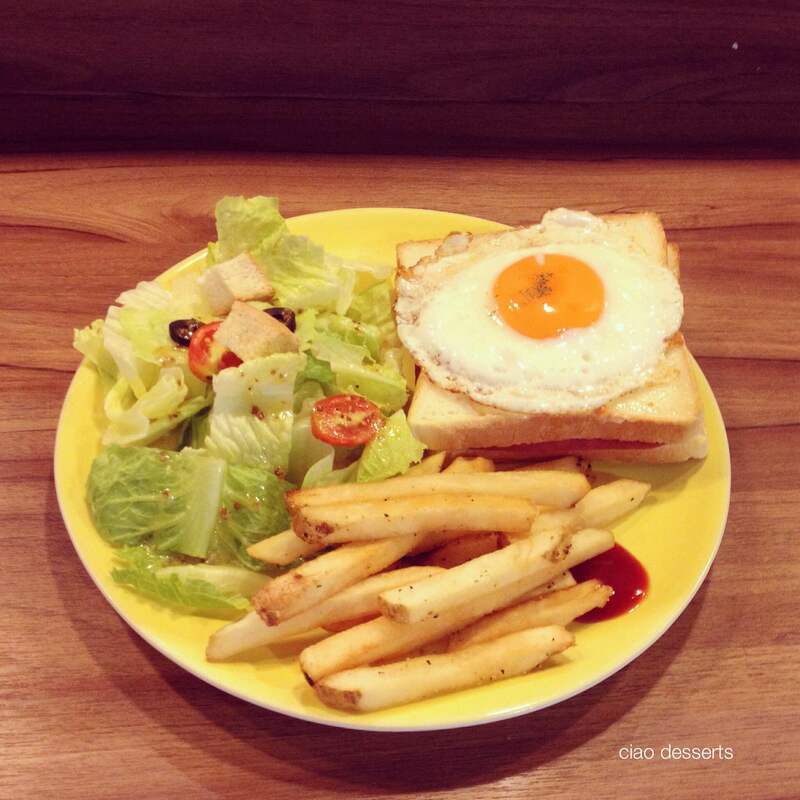 I ordered a Croque Madame, which to me is fancy grilled cheese~ it’s a toasted ham and cheese sandwich topped with a perfect sunny side up egg. At Labu, it’s served with a generous portion of salad and a thoughtful side of French fries (since nothing is worse than having to choose between both). And of course, I had to have coffee. 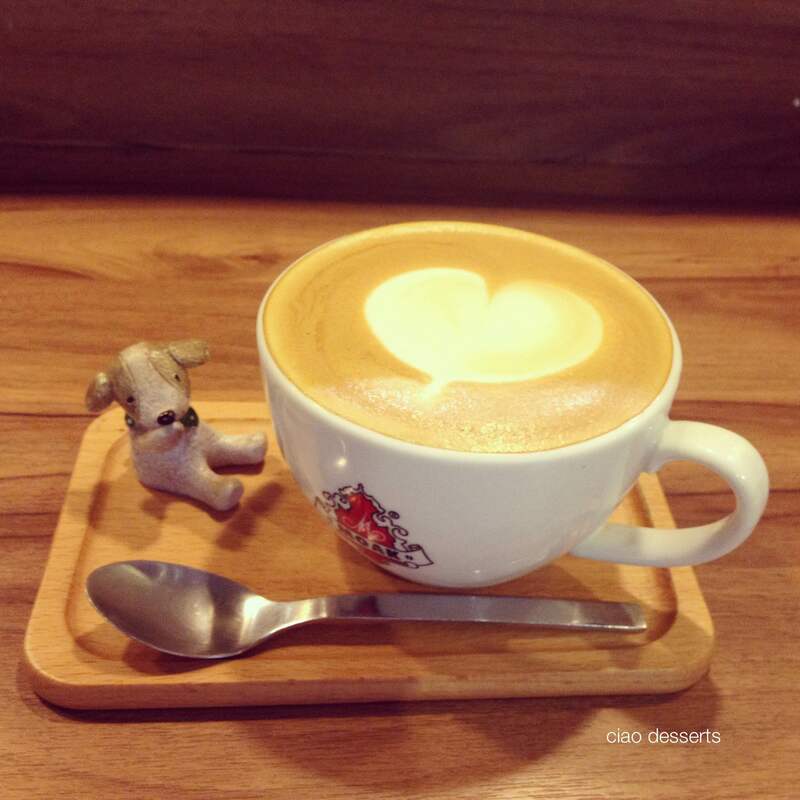 I ordered their regular latte, which arrives on a wooden tray with cute wooden animal knickknacks. The coffee itself is strong and hearty, and gave me the energy to brave the typhoon. This entry was posted in Uncategorized and tagged coffee cups, comfort foods, croque madame, grilled cheese, knicknacks, Latte, sandwiches, Taipei, typhoon. Bookmark the permalink.